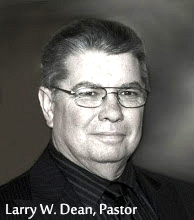 Preacher: Larry W. Dean (7), Wayne Camp (2). Book: Amos (1), Luke (2), Acts (4). Series: Convocation 2014 (1), Featured (7), The Theme of Christ's Ministry (1). Acts 13:49-14:6 (Part of the Featured series). Preached by Larry W. Dean on March 4, 2018 (Sunday Morning). Acts 3:11-26 (Part of the Featured series). Preached by Larry W. Dean on March 19, 2017 (Sunday Morning). Acts 2:1-47 (Part of the Featured series). Preached by Larry W. Dean on January 29, 2017 (Sunday Morning).